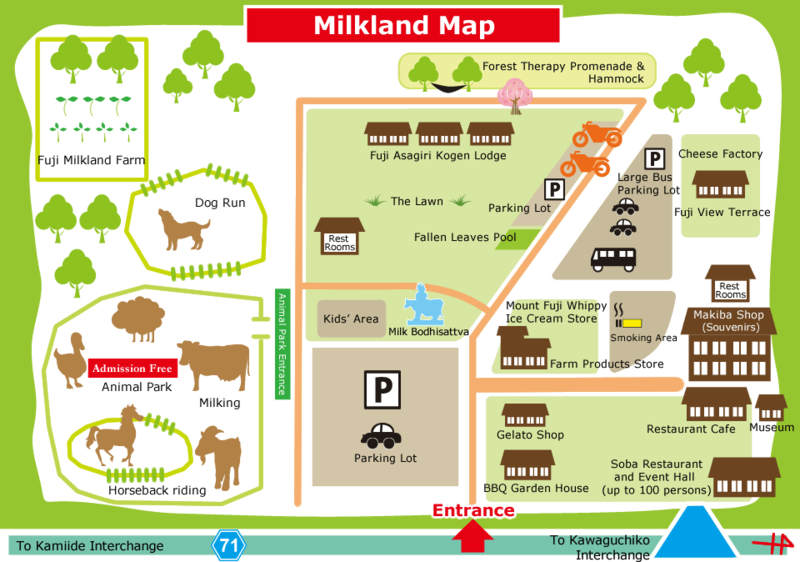 Getting Here | Visit Fuji Milkland at the foot of Mount Fuji in Asagiri Kogen highland. Visit Fuji Milkland at the foot of Mount Fuji in Asagiri Kogen highland. 9 AM-5 PMMay close temporarily in winter. ■Shops and Facilities　10 a.m. to 5 p.m.
■Animal Park　10 a.m. to 4 p.m. Enjoy the closest dairy farm to Mount Fuji.